This continues the story that began with Paris, 1835, but it stands alone just fine. 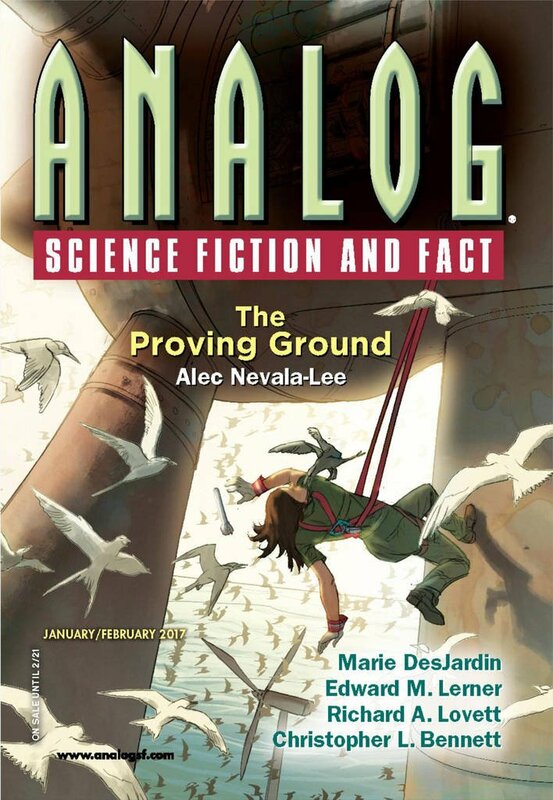 "Whending My Way Back Home," by Bill Johnson [bio] (edited by Trevor Quachri), appeared in Analog Science Fiction and Fact issue 01-02|17, published on December 15, 2016 by Penny Publications. Pro: There's a good bit of dramatic tension as we get closer and closer to Martin's big change to history. Con: There's some confusion as to what is actually going on here. Is Martin immortal? Does he move forward simply by experiencing decade after decade, century after century? Martin and Artie are the only well-developed characters. Artie is annoying when he talks about "if-then" statements, for all the world as though he were written in a 20th-Century programming language.